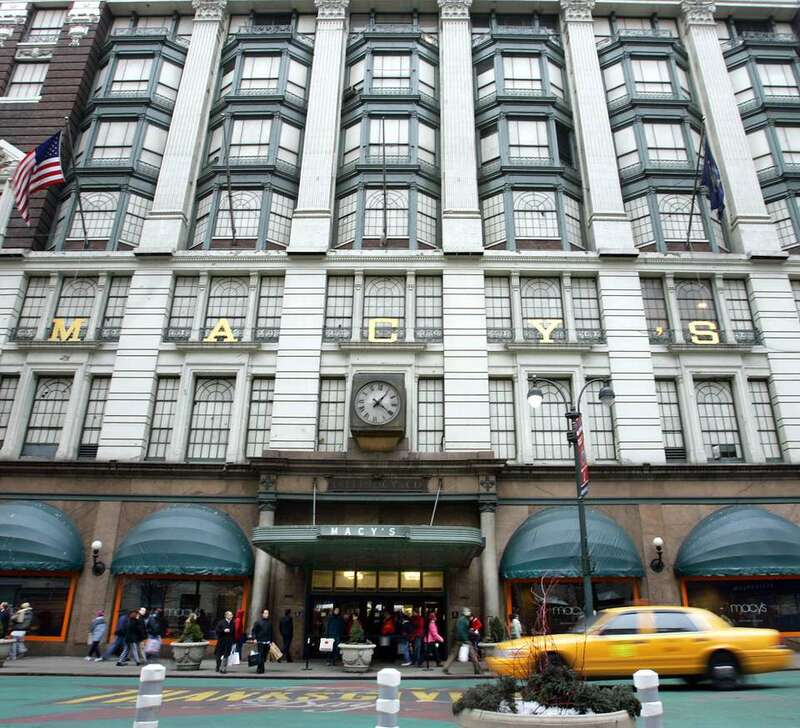 Macy's legendary flagship store at Herald Square in New York City has long been a popular shopping destination for visitors. The iconic store is renowned for its Thanksgiving Day Parade, holiday window displays, and visits with Santa—in fact, the parade and Santa were prominently featured in the classic movie "Miracle on 34th Street" (1947). The store is so vast and features so many departments, you could easily get lost. Here are some things to remember and look for as you wend your way from one floor to another, including some shopper benefits and services you may not be aware of. You may know how to sniff out a bargain, but you may not know about some of the benefits and tricks of shopping at ​Macy's Herald Square. Weekdays before lunch are the least crowded times to visit. There is a package and coat check at the Visitor Information Center on the Mezzanine Level to make your shopping trip more comfortable. Instead of lugging shopping bags from floor to floor or on the trip home, you can ask the cashier can have your purchases shipped to your house. International shoppers can get a discount card at the Visitor's Center, which is good for 10 percent off most purchases. Located on the Mezzanine level of Macy's Herald Square, the Visitor Information Center can not only make your shopping trip easier but also your stay in NYC more enjoyable. The center offers discounted attraction tickets, brochures, and maps, and also features Google Maps kiosks to help you navigate the city. From casual, fast-food eateries to more refined options, there's always a place to refuel and no reason to go hungry while you're shopping at Macy's. Macy's Herald Square is about more than just shopping. You can take the New York City Macy's History Tour, eat a breakfast buffet while you get the latest on new styles at the Breakfast fashion show, get free beauty sessions, work with a personal stylist, or visit the De Gusitbus Cooking School by Miele, where you'll watch top chefs cook a meal that you will then get to enjoy. You can also take a merchandising tour, where you'll learn why certain designers are placed in specific locations. And maybe the biggest Macy's at Herald Square experience of all is at Christmas, where you can transport yourself into "Miracle on 34th Street" and visit Santa, marvel a the festively dressed windows, and visit the Holiday Lane shop and Santa Land.